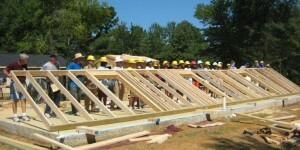 Starkville Area Habitat for Humanity allows you to practice your faith. Create an OrgSync account by going to the OrgSync login page and filling out the “Get Signed Up” form. Once you create an account, you can view and register for a shift by signing in via the Service Partner Sign-In on the top right corner. Pray for our organization and our partner families. Encourage your church to become a Habitat partner. Fund projects or provide in-kind donations.